We hold expertise in designing and developing Auto Manual Station (Model A881). 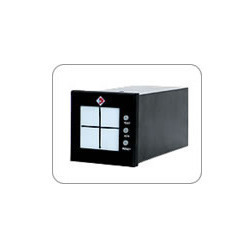 These microprocessor based auto manual station are designed to control and display control parameters. The instrument work as an A/M Controller along with an indicator with retransmission output. Being an A/M controller, these instrument accept 4-20 mA input from sources like DCS and give output in normal auto mode. The control shifts from the AUTO mode to the MANUAL mode, during breakdown. User can now control the output 4-20 mA from the control keys provided on the front panel. This transfer is bump-less. The controller continuous its control in auto mode, even in case of failure of A/M station. Furthermore, optional auto bias feature of these products allow even manual to auto transfer bump-less. To allow this bump-less transfer, the bias is set automatically in manual mode and then it can be converted by pushing buttons in auto mode. Along with this, external feedback signal o/p from the A/M station facilitate controller to track A/M output in manual mode. 1% and 10% per sec are the rates of change of output (in manual mode) and bias (in auto mode). 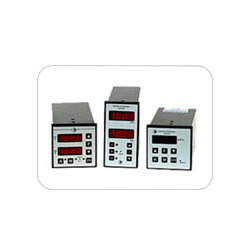 The instrument is provided with 4 digit display which displays the output parameters as configured by the user. Our esteemed clients can avail from us Valve Positioner (Series 883). These micro-controller based products are designed to control output going to servo valve, with or without the process controller. These products are panel mounted control valve driving station, that accept 4 – 20mA signals from controller and a give response signal from control valve. The offered products itself derive voltages for feedback signal. These products generate up or down pulses to operate motorized control valve based on the difference between controller output and feedback from control valve. Furthermore, provided drives the instrument in manual mode, in case of input or feedback failure and lock the valve in its last position. Variable dead band of 0.5% to 5.0% prevents the valve from hunting. Delaying the another movement of valve by preset time once it is settled. 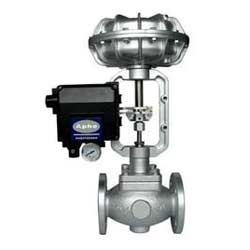 Valve can be driven up or down manually by overriding facility. The instrument shows valve opening in percentage through 4-digit red LED display. Feedback resistance from control valve. Feedback 100 Ω (minimum) to 5K Ω (maximum). Output UP and DOWN contacts. 4-20 mA DC isolated, if required. Front Controls A/M switch, Up, Down. Display Accuracy +/- 0.15% of span°C. We put forward a significant Alarm Annunciator (Series 885) for our valued clients. These products products suitable of indicating field fault conditions in the control room. The offered products sense NO/NC potential free contacts for all the channels in a simultaneous mode. Response time in microseconds while sensing all the channels in round robin fashion is assured by high end microprocessor chips. These products are provided with audio and visual output for alerting plant personnel when fault condition occurs. Front of the instrument controlling keys are provided with acknowledge, reset and test. Same keys can be provided on the back plate. Pattern of rows and columns change with change in total channels, for remote controlling of the unit. Input NO/NC potential free contacts. Display Window Size Standard 70*45/30*30/others on front fascia. Front Controls Acknowledge, Reset and Test switches. Input Type Selection Internal through jumper selection. *Special features on factory confirmations only. Looking for Control Station ?